We are a leading Manufacturer of ayurvedic digestive syrups from Mumbai, India. 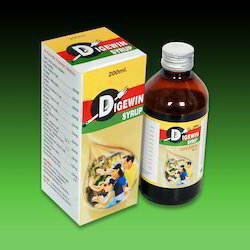 It contains digestive herbs for enhancing activity of pancreatic enzyme, which provides soothing relief faster. In addition to this, it also helps in overcoming the problem of acidity heartburn and regular belching. 100% herbal and unique herbal content formula expels the entrapped gas to relieve distension. Looking for Digestive Disorders ?